A large, steel door opens flooding the pitch black room with white light. A large silhouette stands in the doorway, inhaling the musty smell of staleness. A switch is flipped and light fills the room, revealing what looks to be furniture draped in old sheets. The figure steps in and starts pulling the sheets off the furniture, making sure to avert his face as to not catch a snootful of dust. He looks around, scratching at his newly grown beard, and grimaces. I hope you've all been well and that you had a great holiday. Mine was interesting, to say the least. Thanksgiving with my wife's family was, as always, a good time, but the source of a bit of stress. Her mom passed away two days after Christmas which, sometimes, gives my wife a melancholy feeling around the Holidays. We went to her brother's house (an hour drive South) and they had a huge feast. Good times were had, but some underlying drama stuck in my wife's craw. So, it was decided that Christmas would be different. We had planned on heading North, to Kentucky, to spend Christmas with my family. A mixture of worrying about the reliability of taking our vehicle on a 2k mile round trip and my wife not being able to get all the time off work needed, had us looking at other options. 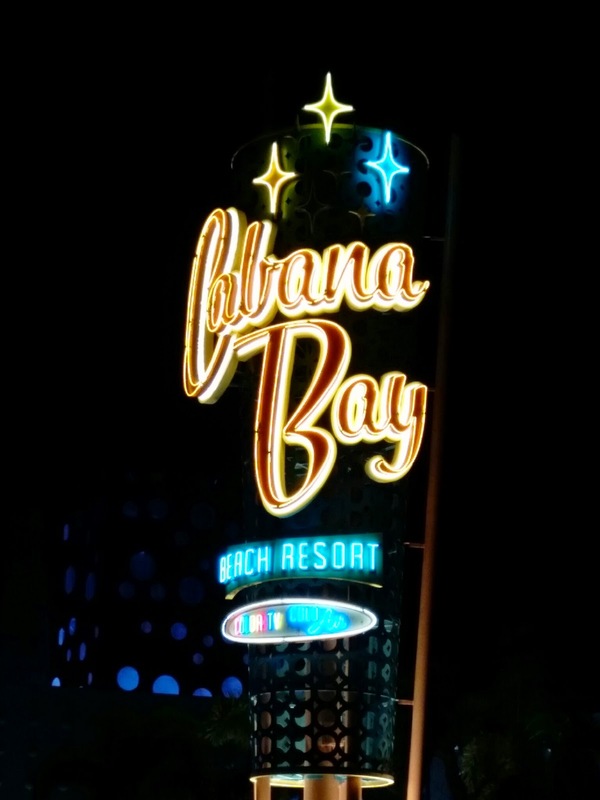 In the end, we opted to spend Christmas at one of our favorite places, the Cabana Bay Resort, right next to one of our favorite theme parks, Universal Orlando. I had expected it to be pretty dead there, but it was quite the opposite. There were a ton of people who, like us, had decided to "get away from it all" and spend Christmas differently. 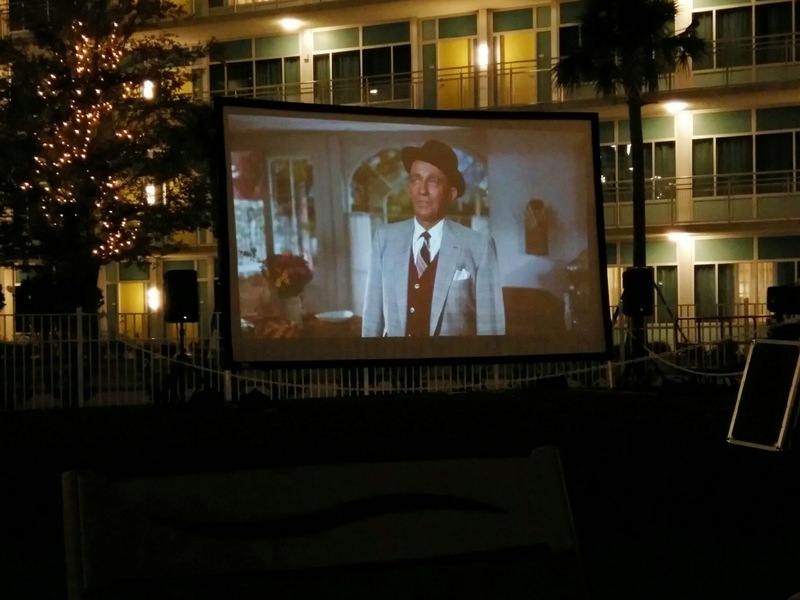 Lots of decorations, poolside movies every night (we got to see two of my faves, It's A Wonderful Life and White Christmas) and turkey and ham on Christmas Eve and day. We even took a day to 'Christmas Shop' (for stockings that we brought with us) at the park. Granted, both of us went way overboard but that's par for the course. If nothing else, it was very relaxing and nice to spend the holiday at our pace, not worrying about having to be at such and such place at such and such time. Don't get me wrong, we love our family, but it was also nice to do something with just our family.....the wife and myself. Anyway, we had a great time and will definitely be doing it again, in the future. On the 'good news/bad news' front, NaNo was a bust for me (again!) this year but, on the positive side, it did give me quite a few good story kernels to work with. Now it's just a matter of digging in and getting them to take off. I'm sure I'll give it another go next year and, who knows, maybe I'll actually "win" this time. I say that every year, though. Besides holiday related things, there's really nothing interesting to report. My job search continues, I'm writing when the mood hits me, reading, and trying to regiment myself to be a passable CP for one of my blogger pals. I have a ways to go, but I'm working on it. Now that's the way to spend Christmas! Sometimes I treasure the holidays with just my wife even more than with my whole family. And I'd heard Disney and everything else in Orlando was crazy busy during Christmas, so that doesn't surprise me. Welcome back, Mark. At least no one rented out your blog while you were gone. I did that for Thanksgiving.... Universal is AWESOME! This year I went back to Galena, IL... a charming town about three hours west of Chicago. I had gone there two years ago for Christmas and LOVED it. Snow, hills, skiing, skating... the whole winter thing. Really fun. BUT this year the weather was warm. Funny, November here was FREEZING and for Christmas we had almost 40. SO instead I hiked for three days. It was awesome. The lake and trails were really challenging and majestic. Wishing you and your family a safe, happy, and healthy New Year! Sorry the Thanksgiving holiday wasn't what you'd hoped. Sometimes being just the two of you is good and I wouldn't have minded spending some of the holiday in sunshine around a pool instead of the dreary weather we had. Happy New Year and hope to see you more often. Glad your Christmas ended up a good one! I'll see you around this year. Good to see you back Mark and thanks for sharing the pics! I can relate to a lot of this. Getting away for Christmas can be a nice way to recharge life. I was shocked to see the date of your previous post. That's what I call a massive blog break!